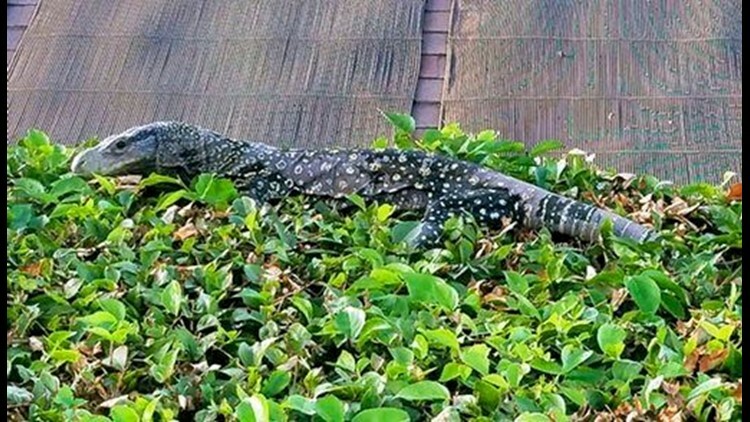 A lizard that can grow to be 8 feet long has been found in Southern California, thousands of miles from its native land, and authorities think it's a pet gone astray. It's green and yellow with big claws, a long tail and a forked tongue. The big lizard is now being held by Riverside County's animal services division. If the owner doesn't claim it, the monitor will be sent to a sanctuary for exotic animals.